At Mediacurrent, culture is something we strive to constantly improve. Our team is 80% virtual, so team-building (while a challenge at times) is an integral piece of the overall culture of the company. It’s important to make those that telecommute feel like they are part of a team - they’re not alone out there! To do this, the HR department has come up with several programs over the years to reinforce the group atmosphere. From team-building virtual activities, to planning get-togethers in our respective cities, to our newest venture - a company wellness program - all of these activities are designed to promote connectedness throughout the team. 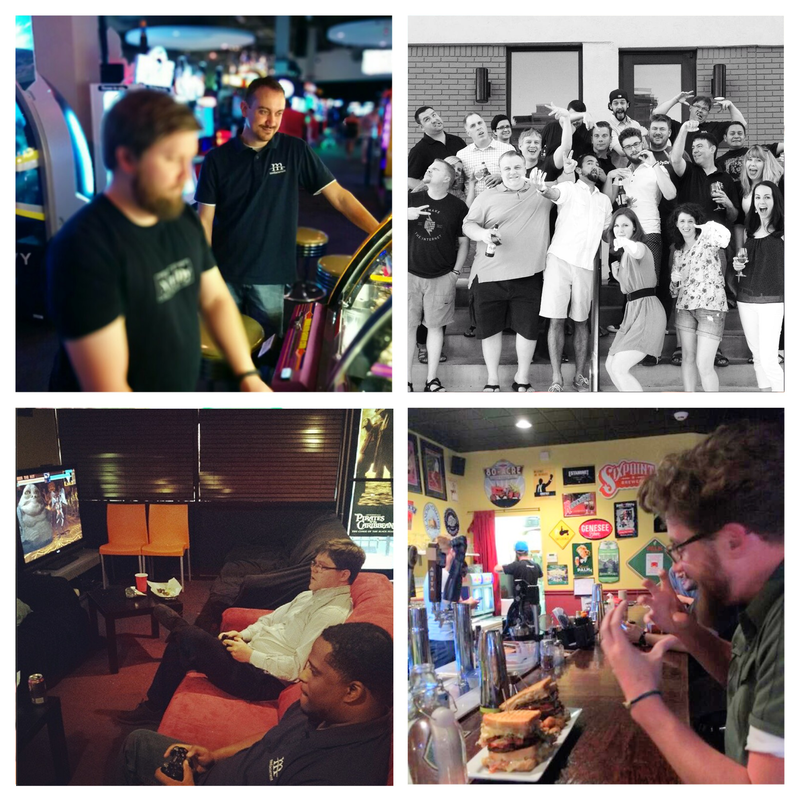 Last quarter, our Atlanta branch planned an event at Battle & Brew for dinner, drinks, and video games, while our Orlando branch met up at Dave & Busters for a little friendly competition. The Arkansas branch met up for a meal and an #MCselfie at The Fold. We even took a teammate from Jacksonville who was visiting headquarters to cheer on the Braves for the home opener! Team-building is a big part of who we are here at Mediacurrent, and we are committed to continuing that tradition in the coming years by encouraging our employees to connect with each other in more ways. The ultimate goal is to offer our team the amazing flexibility of telecommuting while also providing them the means to build long-lasting relationships with their coworkers. When you work for Mediacurrent (wherever you may be working from), you are working towards a common goal with a great group of people that we encourage you to get to know! To learn more about our culture, follow us on Facebook, check out our Instagram and follow the hashtag #MCKnowsFun! Read more about how we define our culture.